If your doctor failed to diagnose your child's cystic fibrosis at birth, you could have grounds for a medical malpractice lawsuit. Cystic fibrosis is an inherited condition, but if your doctor failed to diagnose it at birth, your child may have gone without vital treatment that could have given him or her the best chance at a healthy life. You might have a valid medical malpractice lawsuit against your obstetrician, medical provider, or a member of his or her staff for misdiagnosing your child’s cystic fibrosis. A cystic fibrosis misdiagnosis birth injury lawyer from Newsome Melton can help you recover damages. 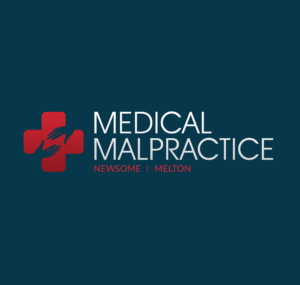 The pediatric malpractice lawyers at Newsome Melton proudly fight for the rights of parents whose babies and young children suffered harm because of the negligence or wrongful behavior of a healthcare provider. Our team will fight for compensation for the damages you have incurred. Our lawyers never charge a fee until we recover money for you. Call today for a free consultation and case evaluation: 855-633-2757. Cystic fibrosis is a genetic condition occurring when a baby inherits a mutated gene from both parents. While there is no way to prevent nor cure it, an accurate diagnosis at birth allows a child with cystic fibrosis to receive the most effective treatment to maximize his or her chances of having as healthy a life as possible. All newborns should get screened for cystic fibrosis. A blood test can determine if there is a need to perform further testing. If so, more extensive screening can confirm the condition. But if your doctor fails to order the initial testing, or if he or she does not interpret the results correctly, your baby may not receive the more detailed screening needed to make an accurate and timely diagnosis. Mucus thinners: These make it easier for a child with cystic fibrosis to cough out the mucus that builds up in the breathing passages. Bronchodilators: These open the breathing passages and help clear mucus from the lungs. Antibiotics: These kill bad bacteria and the diseases they cause. Ibuprofen: This anti-inflammatory medicine can reduce lung swelling in cystic fibrosis patients to make it easier to breathe. Hypertonic saline: When breathed through the nose, this saltwater vapor helps thin mucus and make breathing easier and more comfortable. None of these treatments can rid your child of cystic fibrosis, but they all have the potential to make his or her life healthier, more pleasant, and more productive. The earlier your child starts them, the better outcome for your child. Your doctor’s failure to correctly diagnose your child’s cystic fibrosis may have prevented your child from getting the early treatment he or she needed to have a chance at a healthy life. The cystic fibrosis misdiagnosis birth injury lawyers at Newsome Melton can help you recover damages for the malpractice of your medical provider or his or her staff. Call 855-633-2757 today for a free case evaluation. Your doctor, or his or her staff member, had a duty of care to you. This responsible party failed to uphold his or her duty of care. Because of this failure, you or your child suffered harm. Because of the harm suffered by you or your child, you incurred damages. The first thing our cystic fibrosis misdiagnosis birth injury lawyers must establish is a duty of care. All doctors owe their patients this duty, as do their staff members, such as nurses, physicians’ assistants, and lab technicians. Any medical facility where you receive treatment also has a duty of care to you. The second thing we have to demonstrate is that the responsible party did not uphold his or her duty of care to you or your child. If the obstetrician, medical provider, or staff’s actions fell short of what one would expect from a reasonable person in the same situation, then he or she did not meet the duty of care. We can bring in medical expert witnesses to play the role of the reasonable person. They can review the evidence and testify about what they might have done differently. The third thing we must show is that your child suffered clear harm because of your doctor or provider’s failure to make a timely and accurate diagnosis of cystic fibrosis. We have a number of ways to gather evidence and make this connection clear. The last thing we have to establish is that you incurred damages because of your child’s injury. We are eager to start building your case right away. For a free case evaluation with a member of our staff, call us at 855-633-2757. You do not want to delay in filing a medical malpractice lawsuit for misdiagnosis of cystic fibrosis. Every state has a statute of limitations that sets a deadline on how long you have to take action. If needed, Newsome Melton can file a quick lawsuit to preserve your right to compensation. Call 855-633-2757 for a free case evaluation. The cystic fibrosis misdiagnosis birth injury lawyers at Newsome Melton are eager to get to work for you right away. Call us at 855-633-2757 for a free case evaluation.